In the early days of the internet, search engines were just a tool to help users find more information on the web as its size – and the amount of data that it contained – was rapidly growing. The advent of the first modern search engines like Yahoo and Google quickly led to competition among webmasters to get their sites listed first on the search results page. During these early days of SEO, search engine algorithms were less complex and took longer to implement, meaning that website owners could take advantage of “black hat” SEO techniques to improve their rankings. These techniques often involved keyword stuffing and spammy link building, essentially technical tricks to get a website ranked better. Over time, Google has evolved, improved, and updated its algorithm to become the secret formula that it is today. While we don’t exactly how the algorithm ranks sites, we do know that it is composed of more than 200 variables and that certain aspects like quality content and good links are extremely important. A relatively recent addition to Google’s ranking recipe is a system called App Indexing. This change reflects the trend towards mobile and the use of mobile apps. Apps are becoming an increasingly crucial tool for marketers and by taking advantage of app indexing you can improve your SEO efforts and get your page noticed on Google. In practice, this means that when users search for a term or keyword on Google, the search results will contain apps and app content that are appropriate for the users’ device. Let’s say you are using an iPhone, results will display iPhone apps and app content that are related to your search. The most interesting part about app indexing is it doesn’t only search for content within apps you already have installed on your device, it also searches content that is within apps you don’t have installed. In essence, Google’s system helps you discover apps that may be relevant to what you’re looking for. While the addition of app indexing added a level of complexity and difficulty for SEO experts, it also introduced a new opportunity to those that know how to employ the system properly. 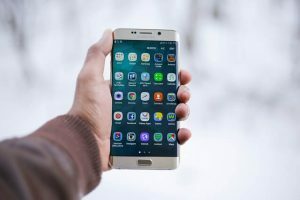 There are a few advantages that app indexing offers to those that are vying for the top spot on Google’s search results page. First, app indexing provides more exact search results because of the increased amount of information indexed by the search engine. If you think of the thousands of apps that exist and all of the content that they contain, you can understand how much more information is now included in search results. Google is able to search among all of that content and find a more accurate fit to what a user is searching for. In essence, the inclusion of apps and app content makes the search engine more efficient and accurate because Google can more precisely serve the information that the user is looking for. Overall, the search experience is improved and more enjoyable for the user. Also, app indexing facilitates higher app engagement. By listing an app directly in the search results, Google is making apps more visible. Listing an app in the search results page makes it quick and easy to access, increasing the likelihood that a user will engage with the app and take advantage of what it offers. Similarly, app indexing helps apps get discovered by users that would have never found them. For those that are looking to sell apps or the content they contain, this is a huge tool to help increase their sales. So, if you are an SEO expert, webmaster, or developer, you need to increase your mobile presence (if you don’t already have a mobile app) or work to get your app indexed on Google (if you already have an app) to take advantage of the SEO benefits app indexing offers. Overall, app indexing introduced a big change in the way we interact with the web, but was a natural step given the progression of the internet towards mobile. App use is likely to increase in the future and you should therefore consider app indexing when deciding on your SEO plan of attack. Just keep in mind, SEO is a multidimensional effort and app indexing should just be one part of your overall SEO strategy. Most important is to keep an eye on the most recent trends because Google is constantly uncovering new ways to rank websites and implementing them into their algorithm.